Kim Dong-Joo ripped a double, and I was stunned. It took me a while to figure out why I was so impressed by his hit. After all, I am a fan of American baseball – a season ticket holder of the San Francisco Giants. I see great players routinely, and frankly some of the players there in Seoul would not have made the big leagues in the US. Yet I was transfixed by Kim Dong-Joo’s performance. Why? At first I thought it was the strange and wonderful surroundings. When Kim Dong-Joo cranked his hit, only half the crowd reacted. Orchestrated by the dancing cheerleaders on top of the dugout, the Doosan Bears’ fans chanted their praise in unison. Politely, the fans of the “visiting” team sat quietly on the other half of the stadium, waiting for their turn to cheer. (How odd, you might say, but most professional baseball games in Korea are played in Seoul, so “home” vs “away” depends on date rather than location. So the fans have resorted to the Korean solution, splitting the stadium down the middle.) Or perhaps my judgment was impaired by the endless stream of beer provided by K-pop style vendors refilling my cup from kegs on their backs? But it was not the surroundings. I was impressed by Kim Dong-Joo because of his quality, period. At work was the performance paradox: The more performance matters, the less it seems to matter. Watching a ballgame in Korea, I saw a mix of players, some very good and some who were just OK, including a few unknown Americans. I saw some acceptable fielding. And I saw some decent pitching, but nothing to compare with the aces I see every game in America. So the contrast was vivid when Kim Dong-Joo came to bat. He stood out, there in Seoul, precisely because the variability of performance there was so high – good and not-so-good players were on the field at the same time. By comparison, American baseball has the luxury of attracting the very best players from all over the world (including some of the best of the Korean greats). 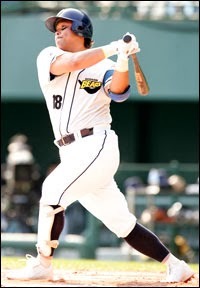 A so-so player does not make the American Big Leagues, and if he does it will not take long to correct the mistake. Consequently, in the US, you don’t see much of a contrast in performance. Greatness is less apparent there precisely because it is so important to getting in. To get a big contrast effect, go to Seoul. Then you’ll understand how great Kim Dong-Joo really is. The performance paradox operates in business all the time, and it makes it hard for us to understand why some companies are more competitive than others. You don’t find it remarkable that the jet you fly this weekend stays in the air. Performance on safety is so important to an airplane manufacturer that you won’t see any variability on that dimension. Similarly, low-yield semiconductor manufacturing is nearly impossible to find. Competition has driven all the low-yield fabs out of that industry. Precisely because efficiency is so important in semiconductors, we don’t see any noticeable efficiency differences in that industry. Want a great tomato? 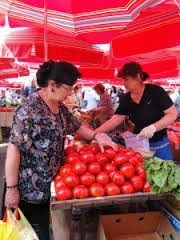 Go to the farmers’ market in Zagreb, but don’t expect the locals to realize how good their produce is. Quality is so important to them that not a bad tomato can be found – so quality is therefore less noticeable. The lesson for business leaders: To understand performance differences in your business, don’t sample on the surviving products and firms. Pay attention to failures and why they fail. In comparing those who did not measure up to the greats that survive, you’ll come to recognize the reason for greatness - and you'll overcome the performance paradox. In academic work, Professor Marshall Meyer came up with this idea. Since then, the best work on performance-based sampling is by Professor Jerker Denrell.